Down Our Street : JimiArt!, excite your soul with art! 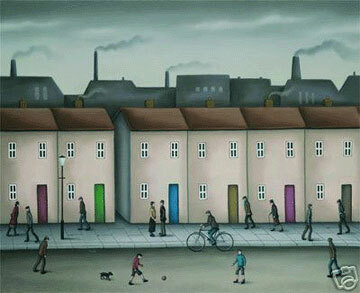 "Down Our Street" is an oil painting by artist Paul Horton. Paul really captures an animated representation of the United Kingdom.